Look no further for the perfect place to be on the lake. Poplar Ridge Subdivision is where you need to be. 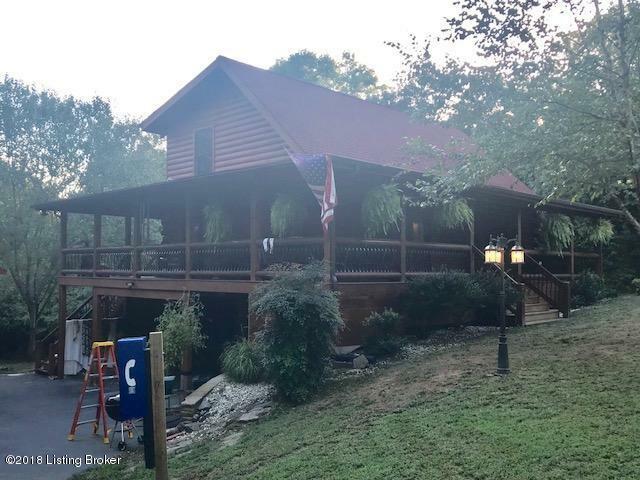 A gated community with black top roads and a community pavilion with a stocked fishing pond are just a few great things about this area on the lake. Dock access is along side the property, with a gate that puts you near the bottom of the path. In just a hop, skip and a jump, you are already at the dock. Dock is a highly coveted end dock. 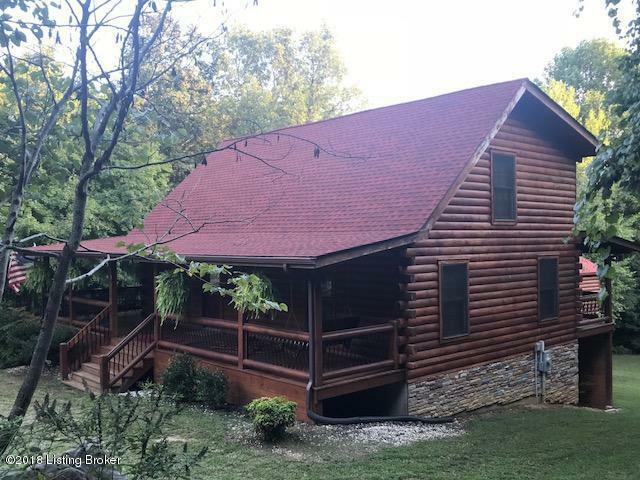 This beautiful cabin is a genuine log home giving you a true look and feel of wood through and through. Large front and back yard and 3/4 wrap around covered porch give you plenty of room for entertaining your friends and family. 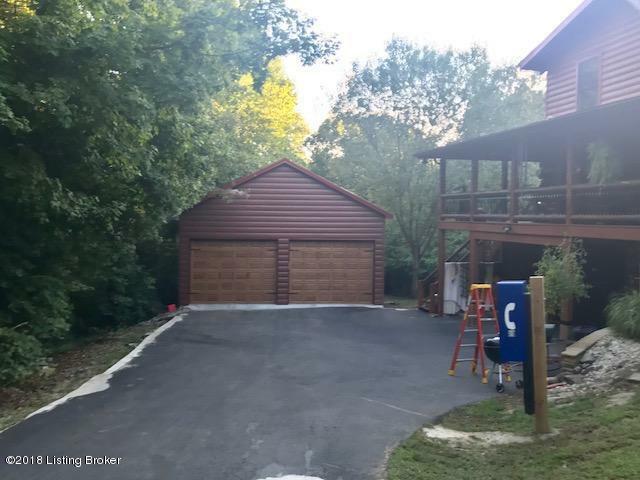 There is a large 30x60 detached garage with concrete floors and plank wood walls.Garage has 12x9 garage doors making it easy to store most of your lake toys. This garage could hold up to 7 cars or would make a perfect man cave for a potential buyer. 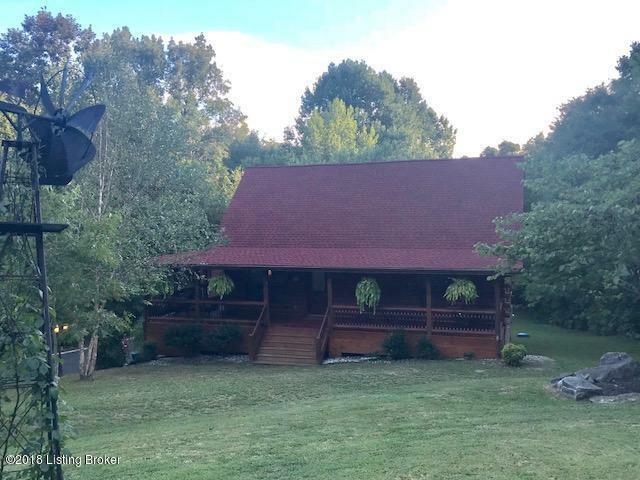 Inside the home is 3 bedrooms, 2 baths and a spacious loft for more sleeping room for your lake guests. There is an eat-in kitchen just off the living room. A 2 car garage can be accessed at the side of the unfinished walkout basement. Located just one mile from Wax Marina and boat ramp, Dog Creek Boat Ramp and Campground as well as a local store, everything you want and need is right at your finger tips.